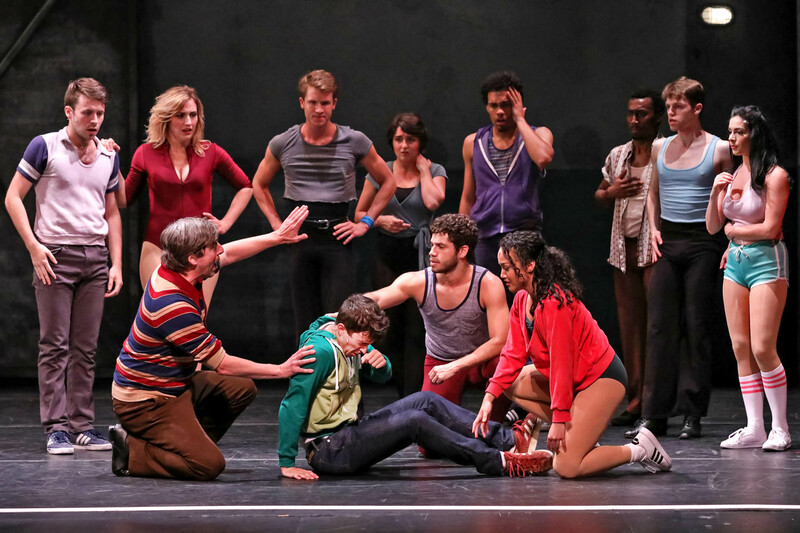 In the midst of a final audition for a part he desperately wants, Paul San Marco – a central character in the Broadway classic “A Chorus Line” – twists his knee. 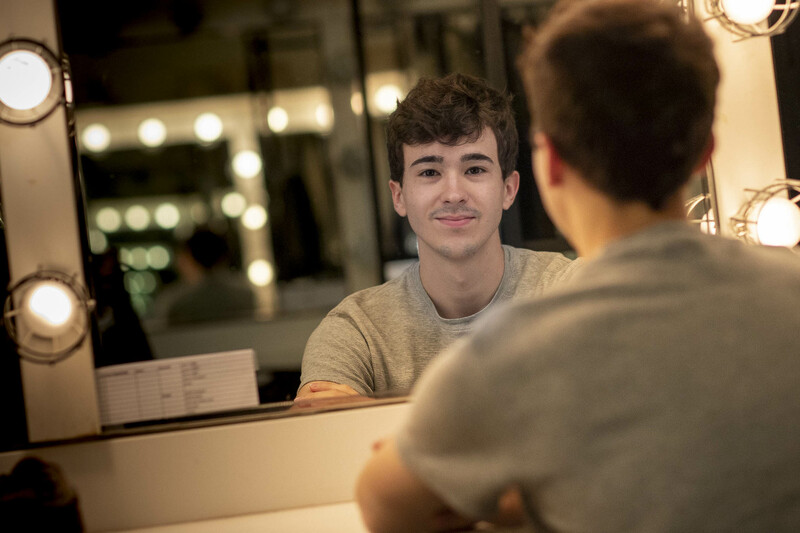 In an eerie twist, actor Julian Sanchez wrenched his ankle midway through his audition to play Paul in this summer’s Heritage Theatre Festival – and just six days out from his final audition for Yale University’s Master of Fine Arts in Acting. Undaunted, the 2018 University of Virginia graduate came back the next day on crutches to perform Paul’s seven-minute monologue. And, he got the part. “We were so moved by how grounded and real he was,” said Jenny Wales, a UVA drama professor and the artistic director of the Heritage Theatre Festival, which runs through Aug. 5 on Grounds this summer. 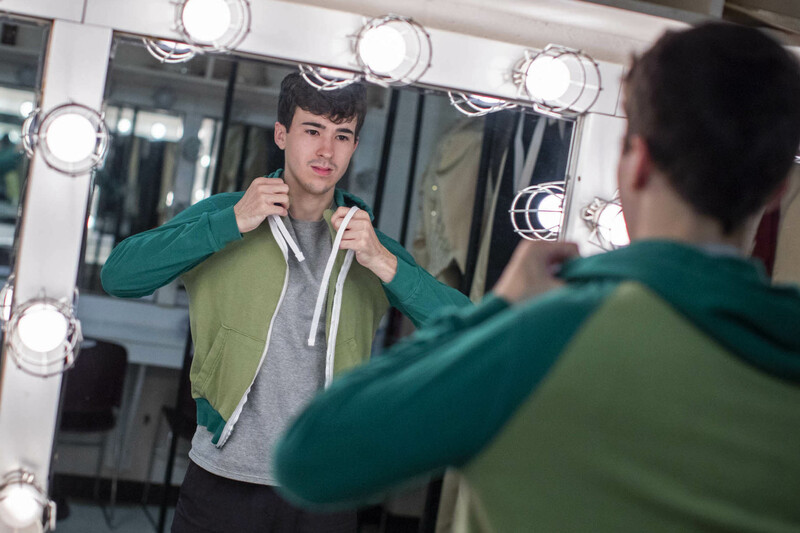 Just a few days after getting cast as Paul, Sanchez also got into Yale’s prestigious MFA program, a dream he has cherished since high school. He bumped into Meryl Streep as he was leaving his final audition – her daughter attends the same program and Streep herself is an alumna. “It was an absolutely unreal moment,” Sanchez said of meeting Streep. He found out he got in a week later, getting the happy email while working in the basement of the Drama Building. While some actors have months to rehearse a part, the professional and student actors in the Heritage Theatre Festival have just a few weeks. 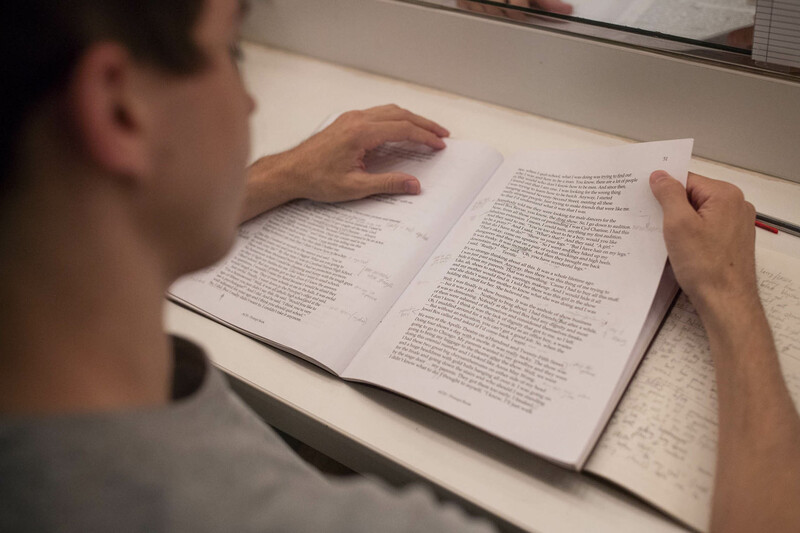 The festival, which is hosted by the UVA Drama Department each summer, brings professional actors and directors to Charlottesville to work alongside UVA students and faculty members. This year, there are about 15 UVA students participating. For the festival’s 44th year – and her first at the helm – Wales focused on American playwrights telling stories that reflect different aspects of American history. Along with “A Chorus Line” – one of Broadway’s longest-running musicals – she chose “Harvey,” which won a Pulitzer Prize for Drama in 1945; a slapstick comedic musical called “The Cocoanuts;” and a drama, “The Mountaintop,” set on the eve of the Rev. Dr. Martin Luther King Jr.’s assassination. 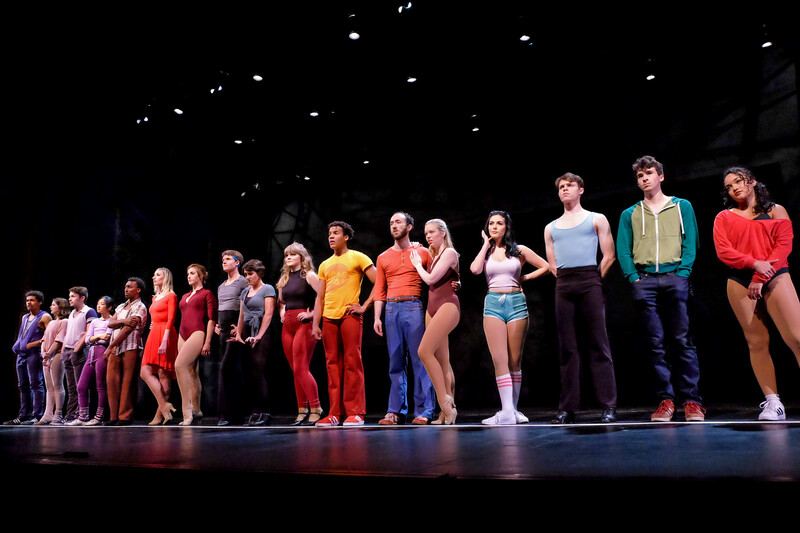 “A Chorus Line” chronicles the inspiring and heartbreaking stories of aspiring dancers auditioning for a Broadway musical. Sanchez, in the green jacket, plays Paul San Marco. (Photos by Ken Huth, Huth Photography). 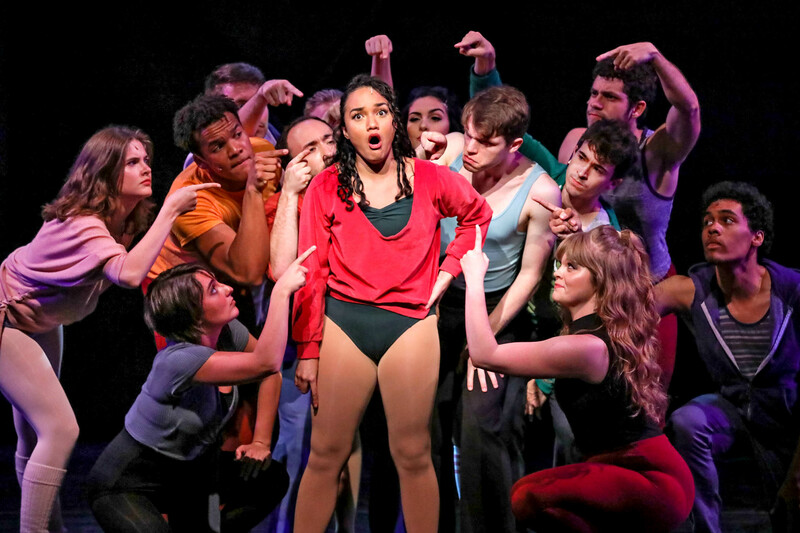 Sanchez and the rest of the cast and crew had about three weeks to bring the musical to life and poured a ton of energy and time into the rehearsals. 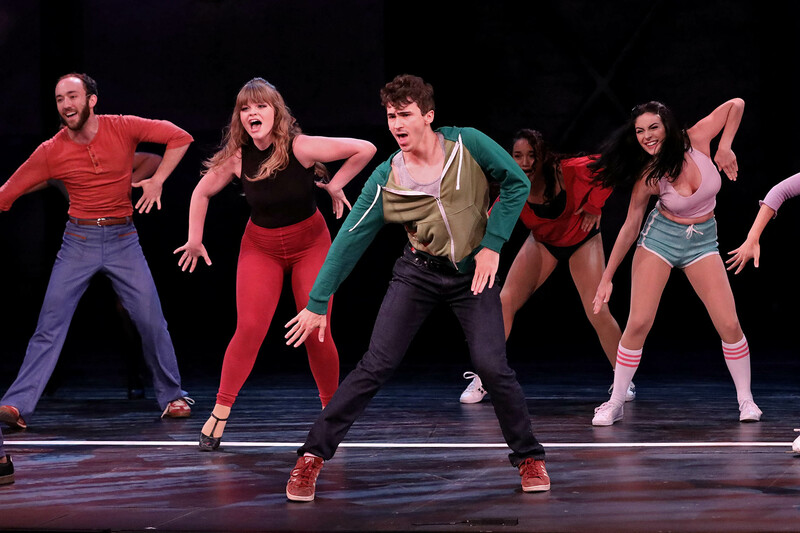 Rehearsals started early in the afternoon and continued until 9 or 10 p.m. Each day, the actors warmed up as a group with director and choreographer Matthew Steffens – a fellow UVA alumnus who Wales met during her first year at UVA and has worked with several times since. Dancing, though, was another matter. 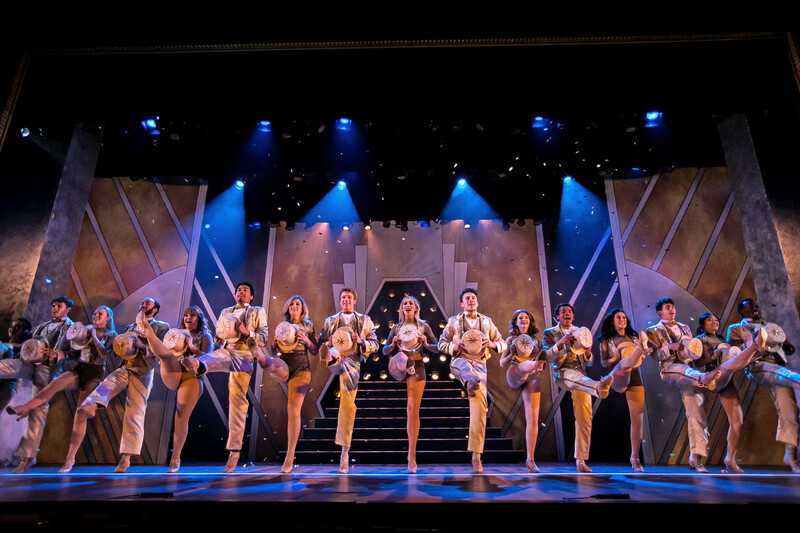 Most of his castmates in “A Chorus Line” are musical theater professionals or had earned degrees in dance. Sanchez – who earned his degree in May in English literature and had no formal dance training – felt out of place. He started hanging around after rehearsals to work with assistant choreographer Cassidy Halpin, running through the dance sequences over and over again. All the while, he still had to learn Paul’s seven-minute monologue, which comes at a crucial moment in the show and offers powerfully reflective break from the dance sequences. 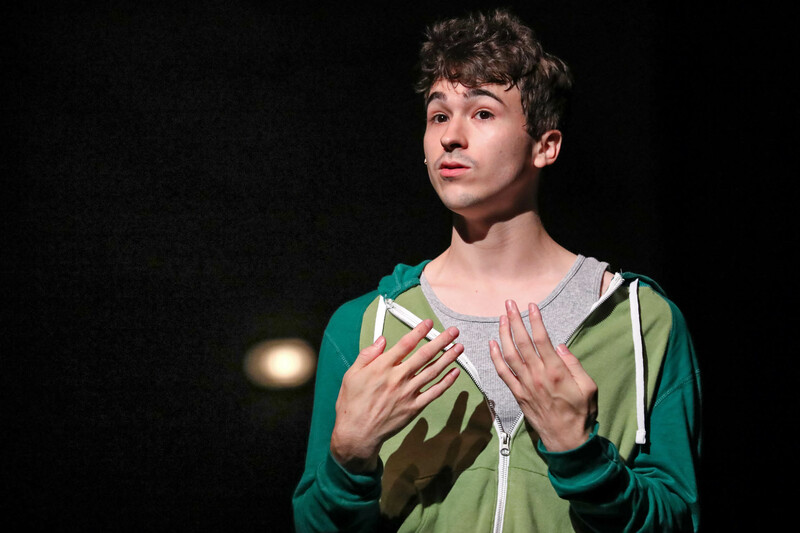 In it, the character talks about coming to terms with his homosexuality and breaks down as he describes his parents’ ultimate acceptance of his lifestyle. Sanchez admitted he was nervous about the monologue, which he called “iconic” among Broadway actors and fans. Steffens, the director, told him to focus on his personal connection to the speech and spend time thinking about why he found it so inspiring. About halfway through the show’s two-week performance stretch, Wales said Sanchez has nailed it every time and just keeps getting better. For his part, Sanchez is thrilled with how the production is going. There is one scene in particular that he loves to watch from off-stage after his character, Paul has left with an injured knee. Though he has played a lot of roles, Sanchez called Paul one of the toughest he has taken on so far. This year, he got to work closely with Broadway actress Nikka Graff Lanzarone, who plays the female lead, Cassie. Lanzarone is on the board of the Actor’s Equity Foundation and also hosts a podcast, “The Ensemblist,” breaking down different Broadway shows. He counts the Heritage experience as among the greatest gifts UVA has given him as he moves on to the next stage of his career at Yale. Also on the list is his English degree. At Yale, he wants to continue to build his stage acting skills while also exploring film. Whatever work he chooses, Wales is confident in her pupil’s ability to step up on any stage. “It’s thrilling for those of us who have worked with him to anticipate what lies in store,” she said.